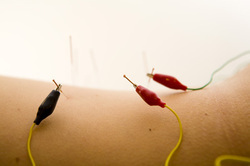 Acupuncture generally involves several weekly or fortnightly treatments. Most courses consist of up to 12 sessions. 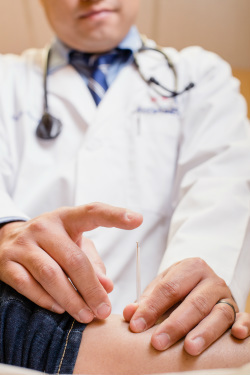 A visit to an acupuncturist will involve an exam and an assessment of the patient's condition, the insertion of needles, and advice on self-care. Most sessions last about 30 minutes. Electro-acupuncture is the term used to refer to the application of a pulsating electrical current to acupuncture needles, or even without needles, to acupuncture points on the body.